We knew there was a veterinary clinic in our area, the North Island Veterinary Hospital. But I was a bit concerned. This is a bias a mine, perhaps unfounded, but in my experience, people in rural areas may be less vigilant about the health of their dogs and cats, leaving things more to nature than to modern medicine. 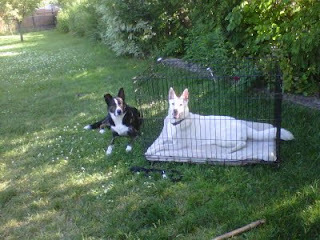 I wondered, would we find a vet who "got" us, who would understand and support the place our dogs hold in our lives? Would it be a problem to order Diego's special food? Would they be up to date on the latest treatment options? Earlier this week, we learned the answers are yes, yes, and yes. This is a great relief! We are still treating Diego for a skin infection, likely caused by allergies. We're running out of meds, so this was an excuse to meet a new vet and check out the clinic. As soon as we walked in, I knew we would be all right. It's a large, bright, modern facility, with all the prescription foods for sale, and friendly, professional staff. The vet we saw is here on a temporary gig. He's from Saskatoon, and he's working in month-long rotations at various west coast towns. He was super nice, and very knowledgeable and competent -- which speaks well of the principal vet who hired him. There are normally three doctors at this clinic. They are open seven days a week, and have a satellite office in nearby Port McNeill (home to another of "my" libraries). We even learned something new. Dogs in this area need flea and tick protection all year, something our old vet thought we might find. What we didn't know is that there's now an oral treatment that's good for three months. Nice! I was much more concerned about finding a good vet than about finding a good family doctor. My experience with medical professionals in Canada has been very positive, that I'm expecting a positive experience when we check out the Port Hardy Primary Health Care Centre. I'll keep you posted. If you have an opinion about pitbulls, chances are good that it's based on myth, misinformation, and even disinformation. I know a good deal about dogs, and I thought I knew a lot about pitbulls, yet I was constantly amazed and enlightened by Bronwen Dickey's Pit Bull: The Battle Over an American Icon. Here are some of the things you will learn if you read this book. There is no agreement on what a pitbull is. No one can correctly identify a dog's breed-mix based on the dog's appearance, including experts. Many or most media stories about pitbulls are based on uncorroborated heresay and myths, and many are actually fiction. Many dog-bite incidents reported as involving pitbulls actually involved Golden Retrievers, Dalmatians, Poodles, and other breeds. Accurate statistics about dog bites, especially those that account for severity, do not exist. There is nothing special about a pitbull's jaws or the strength of its bite. In fact, no test exists to measure the strength of a dog's bite, thus "facts" about a pitbull's bite being x pounds of pressure compared to other dogs' bites, are pure fiction. 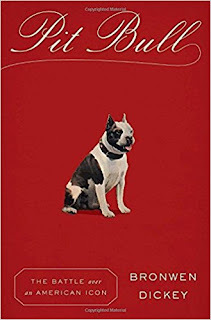 Reading this book, you will consider connections between the media's portrayal of pitbulls and racism, between fear of pitbulls and fear of urban youth, the dynamics of a social phenomenon known as "moral panic", and how the moral panic over pitbulls mirrors the one about crack cocaine. And did you know that in pre-Civil War America, dogs of slaves were confiscated and put to death, as were dogs in Jewish homes in Nazi Germany? All this might be merely interesting, or perhaps fascinating, if ignorance and moral panic didn't inform law-making. Sadly and infuriatingly, this is not the case. Thousands of dogs labeled as pitbulls that never harmed anyone or showed any signs of aggression have been killed. Thousands of people were forced to choose between their beloved dogs and homelessness, when any dog deemed a pitbull was banned from most public housing and much private housing. This is not about a dangerous dog being euthanized. This is the wholesale round-up and (attempted) eradication of dogs based on appearance only. In one of the many insightful looks into media coverage of dog-bite stories, Dickey uncovers the total lack of credentials, expertise, and experience of the owner of a professional-looking website called dogsbite.org. She notes that on one side of the so-called debate are the Center for Disease Control, the American Veterinary Medical Association, the American College of Veterinary Behaviorists, the National Animal Care and Control Association, the Animal Behavior Society, the Association of Professional Dog Trainers. and all but one animal welfare organization. On the other side, the owner of an attractive website with unsourced claims. But the media, in the name of "balance", will give these two sides equal weight, without questioning where dogsbite.org gets its information. The answer is: they make it up. Dickey introduces the reader to two important, remarkable organizations: the คาสิโนออนไลน์ แจกเครดิตฟรี 2019Coalition to Unchain Dogs, now called Beyond Fences, and a Humane Society program called Pets for Life. In the past, the only thing animal control organizations could do for neglected dogs was remove them from homes -- a chilling echo of how children were removed from certain homes under the guise of protection. These two groups help people keep their animals, by offering free veterinary care, free quality dog food, and free dog-care education. Because -- go figure -- it turns out low-income families love their animals just as much as affluent families. The descriptions of dogs and people whose lives have been transformed by the dedicated people of these organizations are the most beautiful and hopeful parts of this book. Dickey introduces the reader to many amazing people -- dedicated rescuers and trainers, as well as people who are amazing for all the wrong reasons -- amazingly ignorant, willfully ill-informed, and close-minded, determined to rid the world of one supposed breed based on a refusal to acknowledge facts. Dickey's book is a tour de force of research and synthesis. 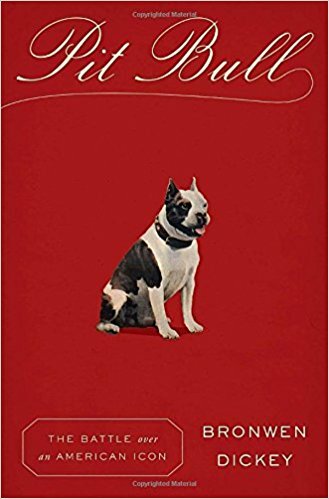 It's not so much a book about dogs, as a book of history, sociology, science, and information studies where dogs are the organizing principle. I wish that everyone who has an opinion about pitbulls was required to read this book. You may recall, we decided to have Diego's DNA examined to see what breed mix he is. Here's what the folks at DNA My Dog have determined. Supposedly Diego is 37-74% German Shorthaired Pointer, 20-36% German Shepherd, and 1-9% Collie. I just don't get it. Diego looks nothing like a German Shorthaired Pointer. 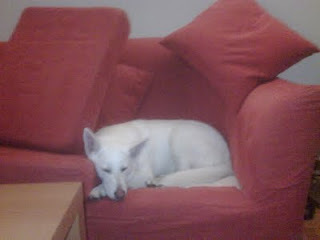 Other than his prick ears, he looks and behaves nothing like a German Shepherd. He does somewhat resemble a Smooth-Coated Collie, but that's a very small percentage. No Border Collie, although he exhibits some classic Border Collie behaviour? No Staffordshire Terrier or American Pit Bull Terrier, even though we see the bully boy in his face? No Boxer, no Mastiff? Now look at images of images of German Shorthaired Pointers. Really? If you comb through dozens of images of German Shorthaired Pointers, you can find one or two pics where the colouring bears a slight resemblance. But certainly it is not the norm. Can a dog be up to 74% of one breed and have almost no physical resemblance to the so-called breed standard? We did the DNA testing strictly for curiosity and fun, but now I'm seriously confused. DNA My Dog also includes behavioural descriptions of the breeds, and common known health issues -- none of which fits Diego. In case you are just tuning in, this truly was strictly for fun. Not only don't I care what breed my dog is, I find the entire concept of breeds ridiculous. With the exception of a few kinds of dog bred for specific work, most breeding is just eugenics. Breeding for arbitrary, human-created standards has ruined the health and lives of so many dogs. I would like to see a complete moratorium on breeding -- which would certainly cut down on the vast numbers of dogs that are homeless or euthanized each year. 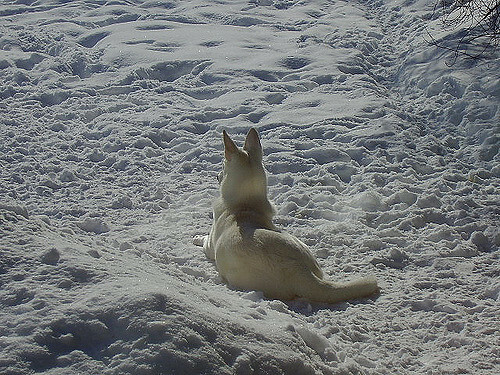 in which we answer the burning question: "what kind of dog is that?" At the beach! Diego's favourite place. People ask this all the time. 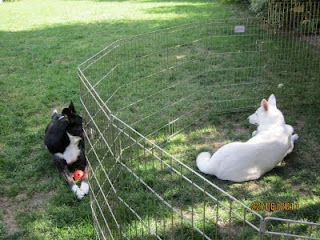 All our dogs have been rescues, but most had recognizable breed markers. 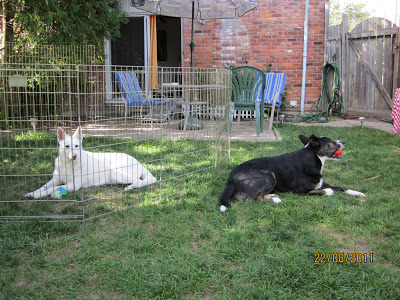 We could answer "white Shepherd-Husky cross" or "Lab-Shepherd mix" or "Jack Russell-Fox Terrier cross". Of course those dogs probably had many other breeds in the mix. When you think about it, unless a dog is actually the product of two purebreds, it's likely to be the product of dozens of different breeds. A mixed breed mates with another mixed breed, and their puppies mate with other mixed breeds, and so on. But people really want to hear two or three breeds! So I'd go with the obvious, and that answer would satisfy. With Diego, I've never known how to answer. I've thought of making up a breed -- a Burnhamthorpe Terrier, for a street we live near, or a York Hound, for the Toronto North York animal shelter where we found him -- but I never seem to think quickly enough. Sometimes I say he's a Border Collie-Boxer mix. But mostly I say, "He's a mutt," or "He's a mix of many things. His own unique blend." Because really, who cares? He's Diego! With his beautiful sister Tala, so missed. Well, now we're going to find out! We're going to put his drool to good use, and have it DNA-tested. 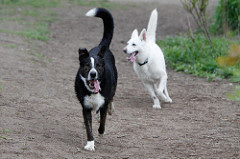 I first heard about DNA testing for dogs at the dog park -- a couple were having their rescued German Shepherd tested to see if he was actually a purebred. Yuck! But when we learned it was pretty affordable, we thought it would be fun to know what breeds might have left their pawprints on our Diego. This morning we're taking a sample of his all-too-plentiful saliva and sending it off in the mail. I'll report back in about two weeks. Three weeks after losing Tala, Diego became violently ill. The usual home approaches didn't work, but when the trip to the vet didn't work, I was really worried. Seeing this dog -- normally the picture of happiness, with a voracious appetite -- so quiet and sad, and unable to eat, was very scary. He ended up staying at the vet clinic for two nights, on intravenous medications and fluids. I have been feeling very put-upon. Just before the Christmas holiday, Allan was in a car accident. He wasn't hurt, but the insurance company declared our car a total loss. Then Tala. And then Diego. Service from the insurance company was horrible, adding to the stress, and we needed to buy a car -- fast. All this while I am under a lot of pressure to get both library work and union work wrapped up before our trip. And we need a healthy dog before we leave, too! This morning we picked up Diego from the clinic, and he is once again his happy self. A huge relief! Our vet strongly suspects inflammatory bowel disease, and is optimistic that a special diet and continuing medication will do the trick. The car saga should end tomorrow, when our friend M@ helps Allan return the rental and pick up our new (to us) car. We're bleeding money, but not for the first time, and undoubtedly not for the last time. Two notes I wanted to share. I have been raving about Rollover, the semi-soft dog food that we've been using as training treats. (I mentioned it here, here, and elsewhere.) We've now learned that the high fat content of this food makes it ill-advised for many dogs. Diego has been getting large quantities of this, in place of some of his regular food, for about 20 months. Our vets do not want to guilt us, but I'm sure it contributed to his current issues. If you are using Rollover, please make sure your dog can tolerate a higher-fat diet, and you might want to keep his or her regular food very low fat to balance it out. The other note is about our insurance carrier, Aviva. Getting in an accident just before the holidays, I realize that service may be slower, and things may take a bit longer to sort out. But that excuse only goes so far. The rep assigned to our claim was unavailable for more than two weeks -- and then appeared only to tell us that we should talk to someone else. But there was no "someone else" -- our information was unavailable to other agents. Meanwhile, the policy has a cap on the rental of a replacement vehicle. The settlement offer was unreasonably low, and we're about to be out-of-pocket for the rental, because of the agent's incompetence or unavailability. She didn't return phone calls, and when we asked questions by email, she would reply with a five-word "please call me to discuss" -- but would not return our calls. It was very frustrating, and created a lot of extra work and inconvenience for us. Finally, Allan called the general number, asked to speak to the agent's manager, and left a message saying he was calling to complain. What a surprise, later that day, the rep called us, extended the rental, made a better offer, and mailed a cheque. I realize this may be an aberration, but I'm not so keen to deal with Aviva again. We miss Tala a lot. Of course. Need it even be said. Somehow I have gone from abject grief to poignant acceptance quicker than I expected. I have no idea why this is. 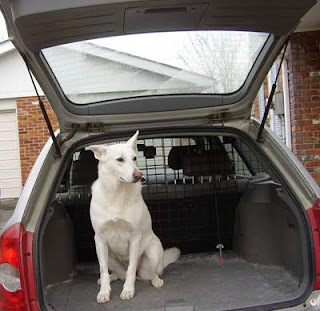 With each dog we have said goodbye to, eventually I get to a place where, thinking of them, I feel sad but at peace -- fortunate to have had their love, assured that we did everything we could for them, and a kind of happy-sadness at their memories. My heart still aches for Tala, but somehow I'm at peace with it. Everyone is asking about Diego. He is doing really well. 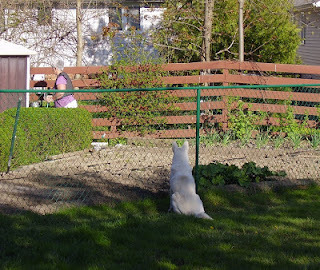 He seemed "off" for a couple of days -- he seemed to be waiting for Tala to come home. For all we know, he still is. 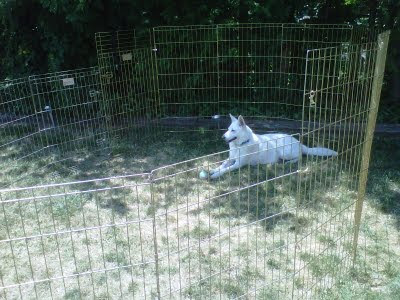 But he has quickly adapted to a new routine, and seems almost like his usual happy self. I miss the howling, and the rough-housing. I wonder if Diego misses it, too. 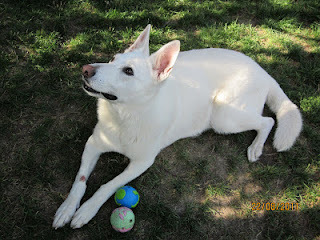 I'm grateful that I was home for almost a full week before we suddenly had to say goodbye to Tala. If I had been out of the house at work and union meetings, I would have missed precious time with her. I'm also grateful that the decision was completely obvious. As soon as we saw the chest x-rays, we knew. I'm having trouble reconciling myself to why we didn't help her sooner. She was having some symptoms, but we attributed them to her chronic spine condition and to age, never imagining something else was going on. She was struggling for a few weeks. But was she suffering? The thought of one of my animals suffering is unbearable for me. My brain tells me we did everything we could, and even if we didn't, we can't go back and re-do it. But my heart is not fully on board. Tala's death has made me think about all love and all mortality. I'd say this is a sign of age, but in fact each time I lose someone I love, I feel this way. Our ability to love is infinite, but the creatures we love are always finite. And since we human animals are aware of our own mortality, we know that our love will lead to loss. But love we must. I envy those people who believe in an eternal afterlife. When I say goodbye to someone I love, I realize what a beautiful fiction that is. We must say goodbye to our sweet Tala today. 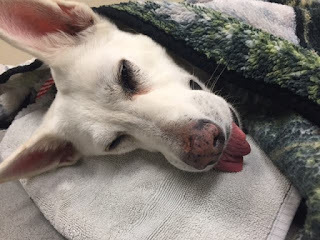 At the vet yesterday, we got the worst possible news, and we know we must do this right away. I'm grateful that it's a clear decision. Tala, Tala Bobala, Talabo, T-bo, T. Skinny Face. Princess Tala. My Little Girl. She started life in a puppy mill in Tennessee. 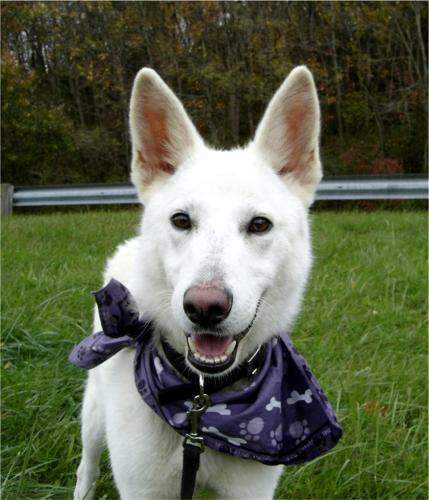 She was rescued to Ohio, then to Husky Savers in Western New York State. Then finally to Canada -- on the underground railroad to freedom. We fell in love with her on Petfinder and have been that way ever since, now one month shy of 10 years. Talabo. Spinning wildly in circles, a white blur. Patroling the perimeter of her yard to keep us safe from the evil squirrels. Barking and spinning in the car, nonstop. Barking until someone would finally spray her with a hose, hopefully until she was soaked. 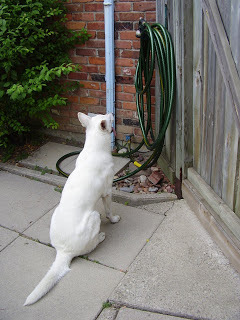 Staring at the hose, waiting for someone to spray her, or perhaps trying to will the hose to spray her. At the sound of the word "upstairs," even in casual conversation not directed at her, getting up and walking upstairs to go in her crate. Eating bees. Live bees, buzzing around in her mouth before she swallowed and caught another. In her younger days, picking on small dogs at the dog park. If they would turn around and give her what-for, she was happy to let them chase her. If they cowered, she bullied them until we could finally distract her. Mostly nice to other dogs, always sweet to humans, especially children. When we first brought Tala home, Cody hated her, but Tala didn't care, she kept trying to get Cody to play with her, until Cody finally gave in. Tala, best friend to Diego from the moment they met. Degenerative disc disease or cauda equina syndrome forced us to change her life. She adapted without complaint. Not once, but two or three times, when we had to re-boot her rehab from the beginning. In May 2016 she had a soft tissue sarcoma. We had it removed and she was quickly back to herself. Goodbye, my little girl. We will love you forever. Waiting for a neighbour to spray her. After one of the wmtc parties. After her surgery this past May. This will always be my favourite picture of her. L: "Where is Churchville, New York?" A: "I don't know, but wherever it is, we're going." Canadians might be disappointed to learn that Welcome to the Goddamn Ice Cube: Chasing Fear and Finding Home in the Great White North is not about Canada. We sometimes refer to Canada as the Great White North, but the Canada that most Canadians inhabit has little in common with the stark landscapes that author Blair Braverman called home. In the northernmost reaches of Norway or on an Alaskan glacier, these are lands of stark conditions -- brutal cold, perpetual darkness, and little in the way of creature comforts. They are also places of great natural beauty. Often, too, a rough world with very few women, where sexual violence always hovers as a possibility. Braverman grew up romanticizing The North and craved it as her proving ground. She seized some opportunities and created others, to test herself in the The North that she dreamt of. In Welcome to the Goddamn Ice Cube, we travel with Braverman to a tiny village in the north of Norway, where she works to fit in with an insular and unwelcoming local culture, to a Norwegian folk school where she learns to dogsled and survive under extreme conditions, and to a glacier in Alaska (the "ice cube" of the title), where she works as a tour guide and dogsledder. These adventures alone would make an interesting and entertaining book. Braverman's clear, sparkling prose makes a fast and easy read. But Braverman brings another layer to her adventure story: the treatment she encounters as a young woman in a hyper-masculine world. As an exchange student, Braverman is bullied, demeaned, sexually menaced, and finally assaulted by the father of her Norwegian host family. Frightened and without support, Braverman takes the all too common route: she blames herself. Then she takes that blame and self-doubt, and an ever-present (and not unfounded) fear of sexual violence, with her on her northern journeys. Braverman blends these threads into a coming-of-age memoir, a travelogue, and an adventure tale. I love dogsledding and the North from afar, so I was in awe -- and more than a little envy -- of Braverman's adventures. Her descriptions of driving a dogsled through a blizzard whiteout, or taking care of tourists stranded on the glacier, are true page-turners. At the same time, her descriptions of her dogs, and her love for them, bubble with honesty and enthusiasm. Her reflections on her relationships -- with a boyfriend who bullies her, with an elderly shopkeeper who becomes her chosen family, and finally, with a true partner -- are insightful and articulate. Braverman has a great ability to bring out one or two sparkling details that paint a vivid picture, without slowing the pace or getting bogged down in dense descriptions. I had only one criticism of this book. The narrative jumps between different times and places. In general this would be fine, but with flashbacks and flash-forwards within flashbacks, I was often unable to follow the sequence of events. Was this before or after Alaska? Is this a subsequent trip to Norway or the same one? I couldn't piece together the timeline. That's a flaw, but not a deal-breaker by any means. I just stayed in the present and didn't worry what happened when. By the time Braverman is ready to mentally and emotionally graduate from the tests she has chosen for herself, I was cheering for her all the way. And I hope it's not a spoiler to say the book has a poignant and very happy ending. 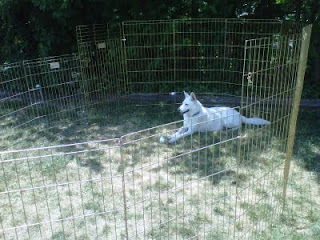 Tala is doing great! Of course she was exhausted and a bit wobbly when she came home, but now she's well rested and back to herself. And she looks a whole lot better without a disgusting, oozing tumour sticking out of her side! More importantly, there's a 75% chance the cancer won't come back. Look how thick her fur is! The doc said this will take a long time to grow back. She doesn't need the Cone of Silence* this time, but the surgeon recommended she wear a t-shirt to keep protect the incision site. Tala accepts it with grace. * I much prefer the vintage TV reference to the what most people seem to call it, the Cone of Shame. The surgery clinic calls it an E-collar, which makes me think both of some sort of digital device, and of E. coli. 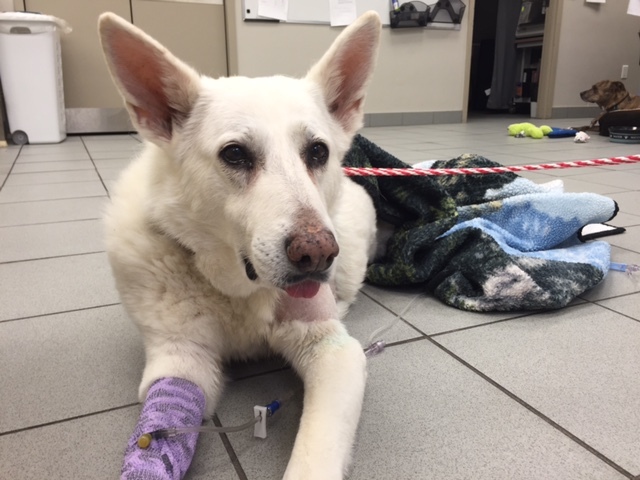 Short version: Tala has had surgery and has a very good chance of remaining cancer-free. Whoo-hoo! It's been a crazy couple of days. Monday afternoon we hear the biopsy results. Tuesday morning we have X-rays done. Our vet recommends a top surgeon who is in the area. She has a cancellation, that very afternoon! I cancel plans at work, and we rush over. The surgeon is amazing, explaining everything clearly and in great detail. 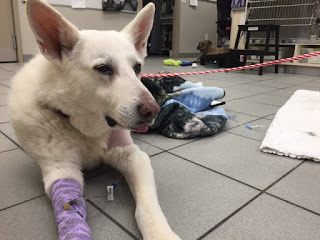 Tala has already been fasted for the X-rays, so even though the surgeon still has another emergency to take care of, she's going to work on Tala that day anyway. The staff at this clinic couldn't be nicer, calling us with updates, assuring us we can call at any time, even sending us photos of Tala in recovery! I work Tuesday nights, and by 7:00 Allan has called to say the surgery is over and Tala is recuperating nicely. The doctor said it turned out to be not as extensive as she had thought, based on the external tumour. Statistically, there's a 75% chance it will not return. In this doctor's personal experience, of 21 surgeries on this type of tumour, there has been only one recurrence. Gotta like the odds. I feel incredibly fortunate. I have a huge credit card bill to pay off - I had that before this happened! - but I feel very fortunate to be able to say that, too. Here's our little girl in the recovery room.